This past year, I've been on a mission to not let my fears hold me back, kind of jumping without looking if you will, or acting before I have a chance to over analyze everything I'm about to do. A few months back, I received a random email in my inbox inviting people to volunteer at JunoFest. There were so many different positions offered, I thought for sure I would find something that would work for me. I knew that I had the support of Emily's grandparents and aunties to help out when or if the time came, so I didn't have to worry about that. I dove in, and signed up. I thought it would be a GREAT way to test the waters, see how I would do in a crowded situation. I think Canadian music is under appreciated by a lot of people. I wanted the chance to be a part of something as huge as the Junos. Music is an important part of my life, and I have a very deep connection with almost everything I hear. If I can't connect with it, I can't listen to it. This was a chance to be a part of the music world in a new way. Volunteering is something I hold close to my heart too. I believe that it's one of the most valuable things that a person can do in their lives. There are so many essential services that are rely on volunteer workers. When I received the second email that said I could apply to be a seatfiller for the live broadcast event, I was even more excited! To be in the same room with group of people that I respect, would have been a really interesting experience. Plus, the only actual qualifications it seemed were to act appropriately, dress appropriately, and be able to move quickly. Hey, I could do that, right? So, I signed up for that one too, got approved for both, and waited to hear back for more details. Closer to the time, about a week before, I got scheduled to work the merchandise shift at one of the venues for JunoFest. I figured I have a lot of experience working behind a counter with customer type stuff, so it is something I'm at least semi-familiar with. I was also told to wait until a day or two before the live event for complete details on the seatfiller shift. I put it out of my mind, so I didn't have the opportunity to get nervous about everything. Fast forward to Friday, the first merchandise shift....I couldn't even do it! It wasn't like it was before, when I would get physically sick before, during and after my work shifts (when I had a job). I didn't get sick, but I started having mild panic attacks. I started to sweat a lot, I felt my heart rate increase, my chest started to hurt, and the tunnel vision set it. That's how I knew it just wasn't the right time to do this. I know people would say push through it, but for me it's about listening to my body's reaction and responding accordingly. I have to make sure that my panic attacks don't turn into something more severe like they have in the past. I went ahead and wrote my disappointing email to the volunteer coordinator, apologizing as sincerely as I can over the internet, since I just couldn't bring myself to call and explain. After all, how can you explain anxiety to someone who is probably incredibly stressed out about what's going on in their own life at that moment, with something as huge as JunoFest? Needless to say, I never did get a message back...and while I can completely understand that, I can't say it still doesn't hurt a little. The night of the Junos, I tuned in to see Serena Ryder and Classified open the show, only to realize how depressed I felt not to be there. I had to turn it off to stop from crying, but I had to remind myself that maybe this one just wasn't meant to be and that this wasn't a waste. I learned that I am almost there. Just a few more baby steps with smaller things to build just a little bit more confidence, and I would have been ready. Even though that may not seem as big as getting to be in the same room with a bunch of inspiring musicians, I still think it's a totally invaluable. I learned that I can't let having to back out of opportunities keep me from putting myself out there to at least try new things. I have to keep trying. One thing at a time. Unfortunately, the Junos didn't happen for me....but something else did. I attempted something that I haven't attempted in about 4 years. That just has to be a win. What about you? Do you deal with anxiety? Have you ever had to back out of something you really wanted to be a part of? What do you do to help you through? You can't succeed at every attempt - it's the not-giving-up that is key! I can imagine how hard it must have been to watch the Junos on tv and feel like you missed out - but sounds like you're on a longer journey and the Junos were just one part. Keep trying! thank you for the great post! Next time you will get them i'm sure! Your awesome! I agreee with you, that this was a win for you. I suffer from anxiety and depression and have missed out on many things in my life because of it. You are definitely going forward and that is a great thing! I'm glad you're making strides, and even more glad that you're so positive about it! you will get there, in time, especially if you keep it up this way! good luck to you! What a great experience, to be around all those great Canadian Muscians and what a great way to do it. I have had major anxiety about doing Book Tours and Blog hops. I decided to just do a few then work into doing more. I am still nervous and make mistakes but I am doing it. Aww, I'm sorry for your disappointment. I can sort of understand how you feel, although when I was younger not much bothered me. Thank you for your post! I am sorry for your disappointment. One step at a time for sure. A few months ago my anxiety was ramped up worse than it has been in years. Thankfully it has gotten better again and I just delivered two presentations this month at work, each with a group of 14-15 people. Felt good to have gotten over what a few months ago would have set off major anxiety! I also have anxiety... though it's a lot worse for me to phone someone then do something in person. Even things like me calling for pizza or the dr. can be an ordeal. I've started up a car seat inspection/installation group in my community which has required me to contact parents, meet them, etc. It's hard but just take it minute by minute. You are definitely going forward and that is a great thing sometimes is a bit hard to get moving in the right direction. Awesome attempt! Keep working at it! Volunteering is great, I do it all the time. What you might consider is starting out smaller: a couple of hours weeding at the botanic gardens is low stress and no pressure. Thank you this great well written post, anxiety is often hard to understand. I know if you will be able to volunteer at a smaller venue. Volunteering is an important thing. It sounds like you are almost there! I really respect how you were able to look positively and objectively at the situation, and find something to take away. I'm sure better things are just around the corner! Aww that must have been rough! Thanks for sharing though. I really do love reading everything you post here! My sister in law and aunt both suffer from anxiety. It is more common than we think! So brave to post such an honest post. Glad you are working towards having a wider safe zone. So sorry to hear you missed the Junos and even more sorry that you have problems with anxiety. I can relate as my youngest son, age 20, has severe anxiety problems and has to be on medication to help control it (somewhat). He missed 2 years of high school because of it. He's back in school now, but in adult ed and it's a very small class. Don't be so hard on yourself, maybe start with something small and work your way up to larger things, slowly. Baby steps, that is the way to handle the anxiety. Bravo on your post, I am sure it took a lot out of you to do this. Next Junos.... get em! Oh my goodness I can so relate to the anxiety. I think you handled it really well and did a great job at listening to your body and your needs. It can be so frustrating and disappointing when anxiety gets in the way and causes us to have to back out of things that we would otherwise like to do. Baby steps. Hopefully we'll soon both get to were we can volunteer and not have anxiety hold us back. I suffered from anxiety issues off and on for years. I literally would be calm and cool then the next month I would have no coping skills to speak of. Finally as 29 I was diagnosed with a thyroid disorder and realized it had robbed me in part of the last ten years of my life. Hold in there.. there could be a naturpathic, vitamin deprivation, alterior cause behind your situation yet! :) Rooting for you! Sometimes disappointments in life lead us to something that is even better for us. I too am a volunteer and I really do value the work that I do because I truly love helping children. Life is about learning and truly understanding who we are as people, we must learn through trials and tribulations. We are all here for a purpose. I am also rooting for you too and believe that you will stand tall and make it through the hardships that you are facing. Encourage each other and help each other. This is what we all should be doing! 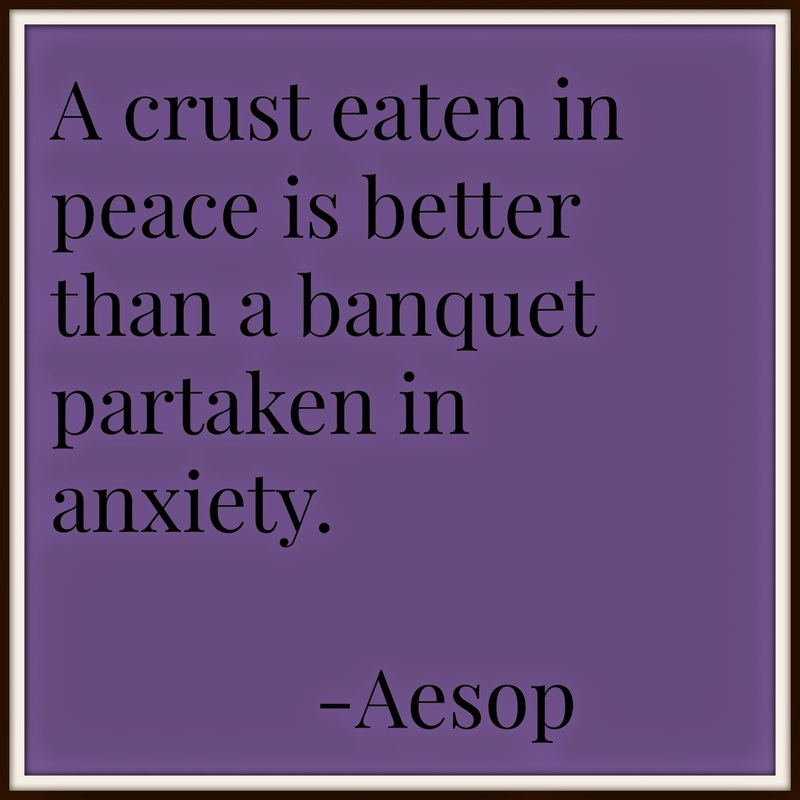 I have the very same problem with anxiety. The extreme sweating is the worst. So humiliating and that just fuels the anxiety. I'm proud of you for taking the first steps and putting yourself out their. Baby steps. I take anti-anxiety meds that help a lot (like a lot!) and now I'm trying therapy. I've heard the 2 together are a very good option. Congratulations!You are going in the right direction! One step at a time. You can get to where you want to go, just keep positive thoughts and never waive from your determination. I missed out, too, because I fell asleep. How sad is that?!? I can understand fully your angst. It sounds like you are very close. I agree with the person that said start with something very small. I wish you the best, you are not alone and many people are pulling for you. Well done listening to your body. That is a major victory in itself. I sometimes have mild anxiety, but nothing like you describe. For me, it just makes me miserable inside, but still mostly able to function as normal and carry on. As much as it hurts, saying no is often the best thing you can do, right? So sorry that you are going through this. I also have anxiety and went through a period of constant panic attacks many years ago. I tried to push through them and ended up fearful of most situations, afraid that I'd have a panic attack. I still hate to sit in the middle of rows or to get onto an elevator with a bunch of people. But I can tell you that you will be better someday, even though it doesn't feel like it right now. And I think it's a good idea to listen to your body, because if you have a really bad experience, it will most likely set you back. It wouldn't be insurmountable, so if it does happen, it's not the end of the world. But if you can head it off ahead of time, it doesn't hurt. I wish you the best and send you love. I missed out on the Juno because I wanted more. If I had not been busy I probably wpuld not have missed it.